Upon your arrival in Nairobu you will be welcomed by one of our representatives and transferred to your hotel, where you will have the rest of the day to spend at leisure. 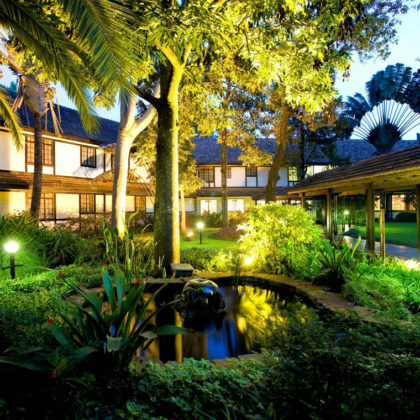 You could head out and visit the Karen Blixen Museum or Giraffe Manor (not included). After breakfast you will depart for the Lake Nakuru National Park where you will arrive at your lodge in time for a tasty lunch. There will be time to relax before you depart on an afternoon game drive. 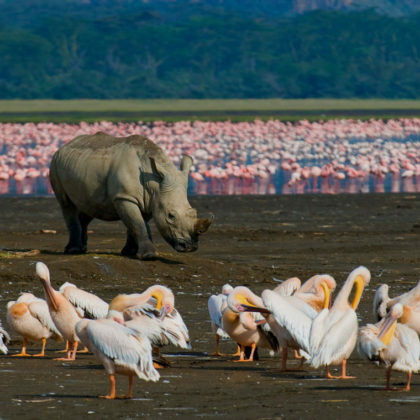 The Nakuru National Park is most famous for the flocks of pink hued greater flamingos which gather in their thousands on the shallow lake. 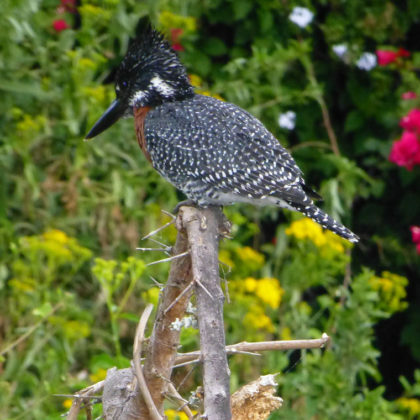 The bird-watching is excellent and this is also a good reserve to look for white rhino in. This morning after breakfast, you will travel to Lake Naivasha which is lined by papyrus reeds and is home to many waterfowl. After lunch and some time for a rest you will embark on an afternoon boat ride to Crescent Island where you will enjoy an afternoon walk among the wildlife. 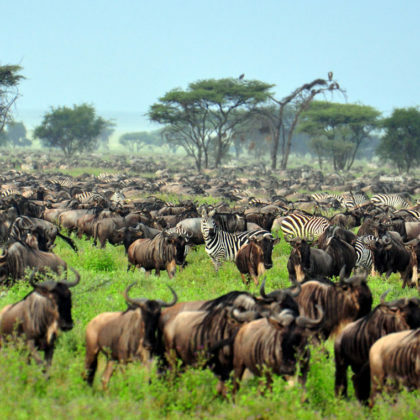 There are no predators but you will see many antelope including giraffe, zebra and wildebeest. Today, you can travel to Hell’s Gate National Park, one of the few parks in Kenya where you can walk and enjoy cycling safaris among the wildlife. 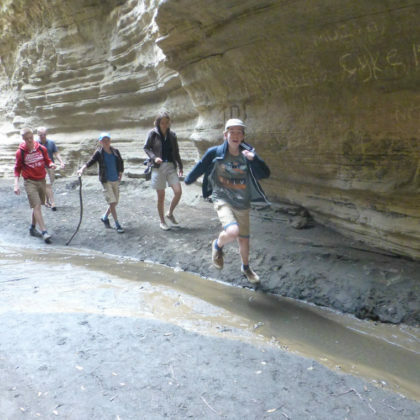 You will also be able to take a hike down among the gorge and explore the parks interesting rock formations. In fact it was the inspiration for Disney’s the Lion King. You could also visit the Joy Adamson Centre. The park is also known for its great raptor viewing. A picnic lunch can be arranged on request by the lodge. 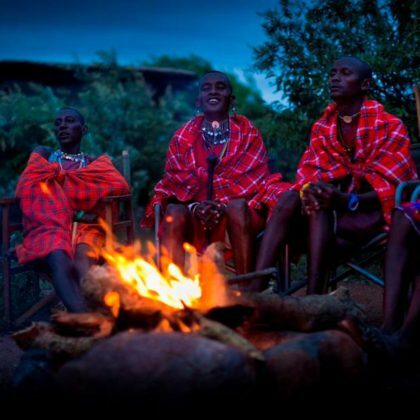 Travel towards Narok and the Loita Hills today, the traditional home ground of the famous Masai Tribe. 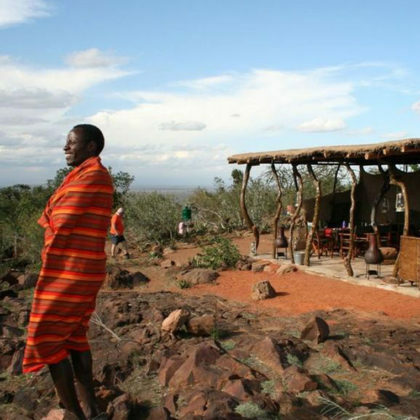 You will stay in an eco-camp which supports the local community and gain real insights into the day to day lives of these people. Today you might learn to shoot a traditional bow and arrow, the basics of tracking animals and bush survival. You may go out with the women and learn what plants they can gather in the arid landscape for food. Visit the local compound and see how they live or when school is in session, you can visit a local school. There are bicycles available and you can go on short excursions in the surrounding area. 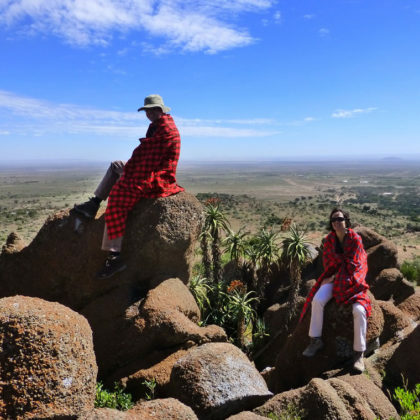 In the morning you will depart for the famous Masai Mara National Reserve where you will arrive in time for lunch. 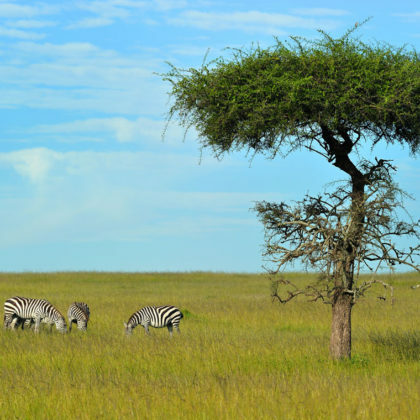 After some time to settle in, you will head out on an afternoon game drive in search of the zebra and wildebeest of the Great Migration, or a pride of lions resting in the shade of a tree. Dine in style out under the stars surrounded by the gentle sounds of the African bush at night. 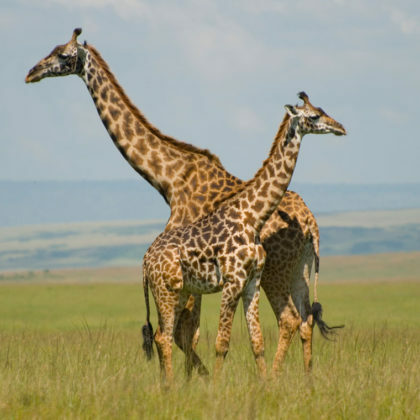 Today you will have the whole day to explore the wildlife wonders of the Masai Mara National Reserve. Set out on guided morning and afternoon game drives. You will see many Thompson’s Gazelles, Topi and Eland as well as the ever present predators such as lions, cheetahs and leopards. 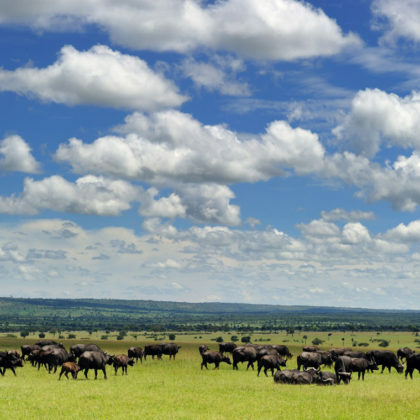 Spend the whole day on game drives watching the daily scenes of drama which are played out on the African plains under the beating rays of the sun. There will be time for one last game drive before you head back to Nairobi. You will spend the evening at leisure. After breakfast you will be transferred to Nairobi International Airport for your flight home.